Call him a real X-factor. Goepper, here taking gold in the men’s ski slopestyle final at the 2013 Winter X Gams in Aspen, is an Indiana boy who could be one of the most exciting new faces in Sochi. We will make some introductions here, but in a way, you know these U.S. Olympians. Maybe you haven’t met them personally, and with the exception of snowboarder Shaun White, who will try to win his third straight gold in the halfpipe in Sochi, or perhaps skier Bode Miller, back for his fifth Games, you probably wouldn’t recognize most of them if they passed you on the street. But you know them because no matter where you live, ­whether there is snow outside your window right now or sand ­between your toes, they come from among you. These Olympians didn’t all grow up in the shadow of snow­capped mountains or spend their childhoods playing hockey on frozen ponds. Speed­skater Eddy ­Alvarez, a Miami native, in-line skated through the streets of South Beach for years before he discovered the ice. Women’s hockey forward Lyndsey Fry’s journey to Sochi began in the stick-and-puck hotbed of Chandler, Ariz. Nick Goepper, who could become a breakout star in slopestyle skiing, one of 12 events on the Winter Games schedule for the first time, grew up skiing on a 300-foot “mountain” and practicing on a homemade snow park in his backyard in Lawrenceburg, Ind., not exactly a Winter Games mecca. There was a time when the Winter Olympics were mostly a regional phenomenon in the U.S., with the overwhelming majority of the roster coming from cold-weather­ climates. But the USOC’s efforts to tap into the national population have paid off with teams that draw talent from a larger pool—sometimes­ literally, as in the case of Brita Sigourney, a former UC Davis water polo player from Carmel, Calif., who will compete in the ­skiing halfpipe. topping the medal count in sochi won’t be easy, although the u.s. should again be among the most decorated countries. The influx of talent has helped transform the U.S. from a Winter Olympic ­also‑ran into a power. At the 1988 Games in Calgary the U.S. team won just six medals, prompting an overhaul of financing and training that led to a 34-medal­ jackpot in 2002 in Salt Lake City. There is no better ­recruiting tool than winning, so it’s not surprising that future ­Olympic-caliber­ athletes were attracted by seeing the U.S. improvement. Four years ago in Vancouver, Team USA turned in its best performance in history, with 37 medals, the most ever won by any country at a single Winter Games. Back and up for more: Once snowboarding’s teen sensation, White, now 27, is the sport’s elder statesman. 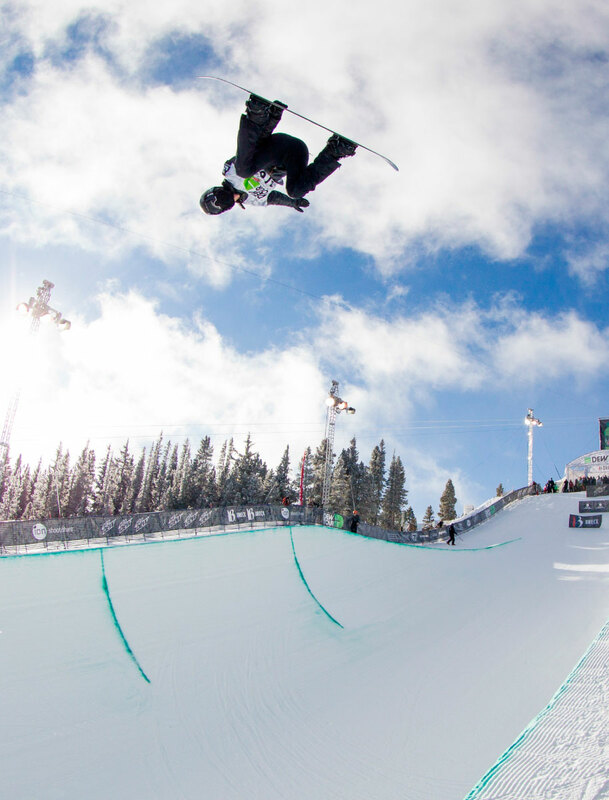 Though he pulled out of the new slopestyle event due to injury, the two-time gold medalist in the halfpipe will be going for No. 3 in Sochi. Topping the medal count in Sochi won’t be easy, ­although the U.S. should again be among the most decorated countries. Team USA won’t have the backyard boost it received when competing in Salt Lake and Vancouver; it’s worth noting that the one dip for the U.S. came at the 2006 Games in Turin, where the team went home with 25 medals. The loss of Lindsey Vonn, the most successful female skier in U.S. history, to a knee injury won’t help. But Team USA still has abundant talent. The Olympic effort has drawn in athletes not just from unlikely regions but also from other disciplines. Hurdler Lolo Jones and sprinter Lauryn Williams, who have five Summer Olympic appearances between them, are now part of the deepest U.S. women’s bobsled team ever. Brittany Bowe, from Ocala, Fla., was a point guard at Florida ­Atlantic before she gave up full-court ballhandling for long-track speed­skating. Though she had grown up as an accomplished in-line skater, Bowe had planned to play basketball overseas after graduating from FAU. But she had a change of heart when she watched speed­skating in the 2010 Games and decided to move to Salt Lake City to train for a shot at Sochi. The Winter Games seem accessible to athletes even if they haven’t spent a lifetime practicing their ­event—and those athletes in turn seem more accessible to us. You know these Olympians because despite the sponsorships and stipends that go to elite athletes now, there is still an ­Everyman/Everywoman­ quality to them. They don’t just represent us, they are us. When he’s not training, ski cross medal favorite John Teller works as an auto mechanic at his dad’s Chevron station in Mammoth Lakes, Calif. Russ Armstrong of the men’s curling team owns a bowling center in Highwood, Ill., and his teammate Jeff Isaacson is a ­middle-school science teacher in Gilbert, Minn. These are not the pampered pros you are used to watching. She’ll be competing for two. Lanny Barnes, here pouring it on in a World Cup event in Austria in December, earned her spot on the U.S. biathlon squad when her twin sister, Tracy, who’d finished just ahead of her in the qualifer, gave up her spot. Do you know anyone who has refused to give in to pain and ­injury? Then you know ­moguls skier Hannah Kearney, the Vancouver gold medalist. A training crash two years ago left her with a lacerated liver, two broken ribs and a punctured lung, but she made it back to win the World Cup title last year and is a favorite in Sochi. 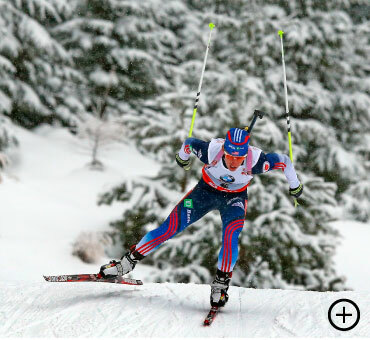 Nordic combined veteran Todd Lodwick, 37, probably won’t win a medal at these Games to go with his 2010 silver, but just strapping on his skis would be accomplishment enough. Lodwick separated his left shoulder when he crashed in a competition in France on Jan. 10 but said last week that he would be ready for Sochi, where he would ­become the U.S.’s first six-time Winter Olympian. Do you know people who sacrifice and put others ahead of themselves? Then you know biathlete Tracy Barnes, who earned the fifth berth on the five-woman­ team, just ahead of her twin sister, Lanny, who might well have made the team if she had not missed three of the last four qualifying races due to illness. But it’s Lanny who will compete in Sochi, because Tracy declined her roster spot so it would be given to the ­biathlete with the next highest number of points: her twin. “She is having a stellar year, and I for one want to see how far she can take it . . . what heights she can climb to,” Tracy wrote on the sisters’ website, twinbiathletes.com. “So in the honor of friendship, cooperation and sacrifice, I declined my spot. . . . Please help me in cheering her on in Sochi.” Only one twin will compete, but they will both hear cheers. The U.S. Olympic effort for Sochi has drawn in athletes not just from unlikely regions, but also from other disciplines. It is one thing to willingly give up an Olympic spot. It’s quite another to have one abruptly taken away, which is what happened to long-track speed­skater Kelly Gunther four years ago. In 2010 she finished fourth in the 1,000 meters at the U.S. championships, apparently earning the final spot in the event for the U.S. team. A tweet from U.S. Speed­skating proudly proclaimed, “Welcome to the Olympics, Kelly.” But officials subsequently awarded a reskate to Rebekah Bradford, who had crashed out of her heat. ­Moments later Bradford posted a faster time, bumping Gunther from the squad. This year—having­ also come back from a horrific March 2010 tumble in which her right blade severely slashed her left ankle—Gunther­, 26, will get the chance she narrowly missed four years ago when she skates the 1,000 in Sochi. 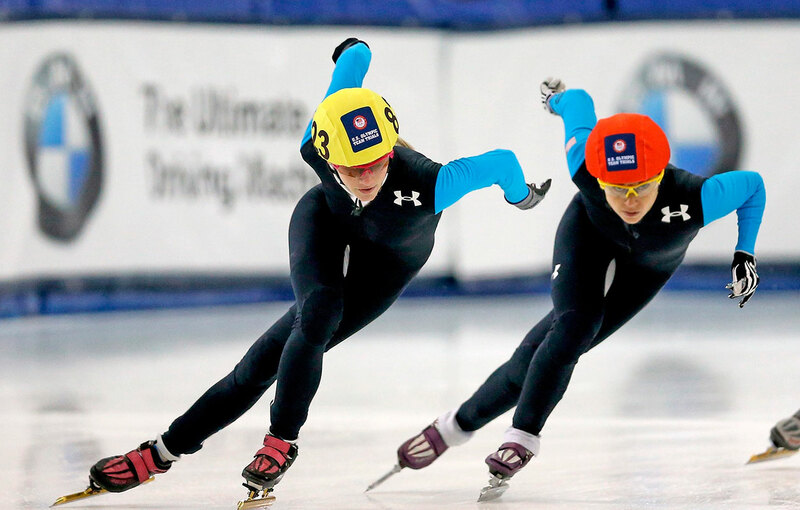 On the edge: Scott (here, left, on the way to an Olympic berth in the 1,500 at the U.S. trials in January) struggled financially after her stipend was cut by U.S. Speedskating. But public donations allowed her to keep training and make it to Sochi. Do you know anyone who needed financial help after a sudden drop in the amount of money coming in? Then you know Emily Scott, who saw U.S. Speed­skating cut her monthly training stipend to $600 from $1,950 when her performance began to slip last year. That caused a serious hardship for her father, Craig, who has raised Emily, 24, and her sister since Emily was in third grade. (Her mother, Carol, is serving a 12-year prison term on a drug conviction.) The family applied for food stamps after the stipend was reduced, but the Scotts’ story went public and donors began sending in cash. About 700 people donated nearly $50,000, helping to make it possible for Emily to continue training and qualify for all three individual short-track races in Sochi. There are also some ­familiar faces and story lines. Maybe you know the U.S. men’s hockey team—with NHL stars like Ryan ­Callahan, Patrick Kane, Ryan Miller and Zach Parise—a bit better than most of the other winter athletes. The Americans lost the gold medal game to Canada in Vancouver in 2010 and should be in the mix for a medal again, although foreign ice has not historically been kind to Team USA. Americans haven’t won an Olympic men’s hockey medal outside North America since 1972. 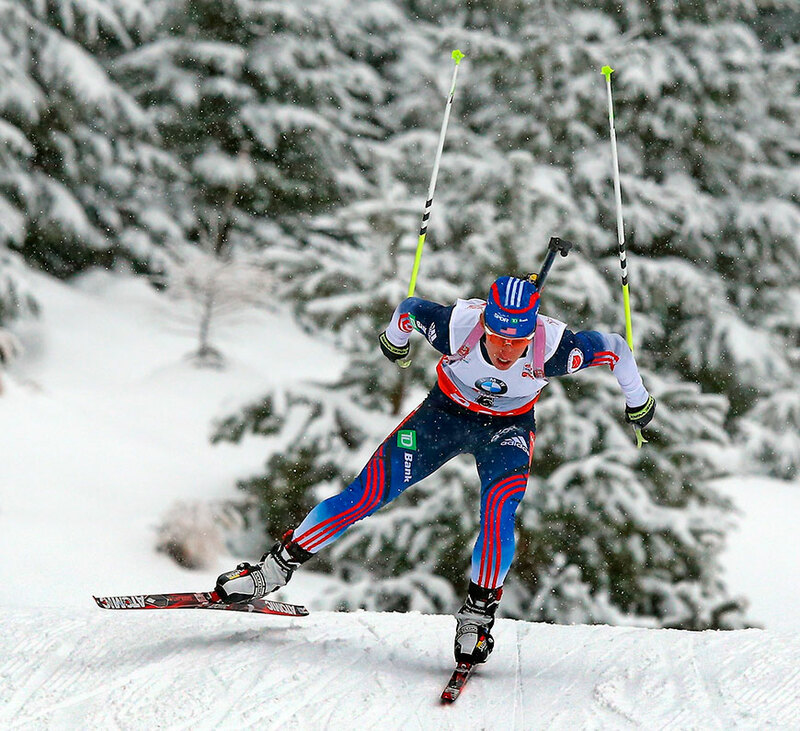 Wagner was the top U.S. finisher at the worlds last year, but wound up fourth at the U.S. championships in January. The selection committee nonetheless named her to the team. She now hopes to live up to their confidence in her on the ice in Sochi. As always with the Winter Games, if you don’t know the U.S. figure skaters yet, you soon will, especially with the drama that accompanied the selection of the three-person women’s team. Under normal circumstances the top three finishers at January’s U.S. championships in Boston, Gracie Gold, Polina Edmonds and Mirai Nagasu, would have been named to the team. But the U.S. Figure Skating selection committee chose to bypass Nagasu and give the third spot to fourth-place finisher Ashley Wagner, who fell twice in an uncharacteristically poor performance in Boston but last year placed fifth at the world championships, higher than any other American woman. How Wagner reacts to the pressure of justifying her reprieve could be one of the main stories of the competition. Then there is White, the Olympian you surely do know, not just from his previous gold medal performances in the halfpipe but also from the endorsements and TV appearances that resulted from them. White has a chance to leave Sochi with more halfpipe hardware and perhaps a medal in the new slopestyle snowboarding event that he once dominated in the X Games. 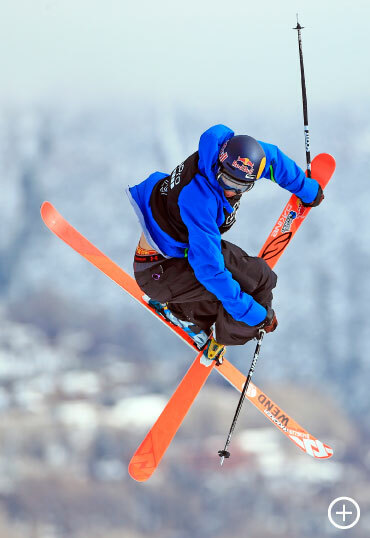 Slopestyle is one of three events that will open the Games on Feb. 6, and you soon will be familiar with it and its stars, just as the rest of Team USA is about to become a collection of much more familiar faces. Before the month is out, and the 230 American athletes in Sochi have faced the challenges of a road Olympics more than 5,000 miles away, you will feel as if you’ve known them forever.